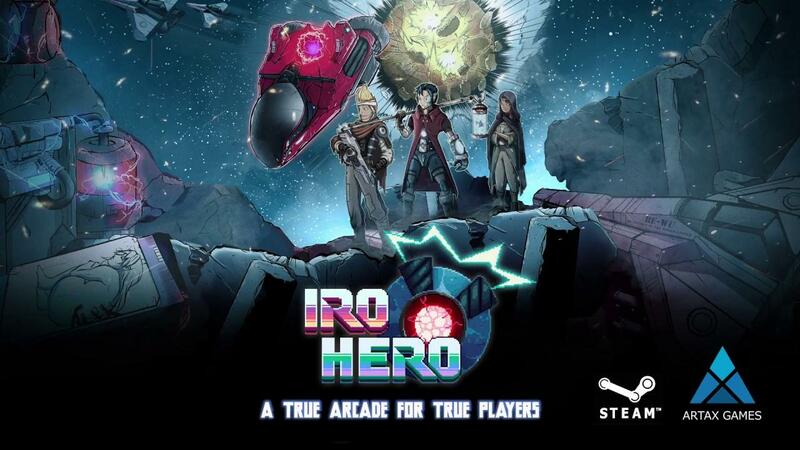 Another game that's releasing next week is IRO HERO, a claustrophobic shoot 'em up from Artax Games and it looks pretty good. I say claustrophobic, because the play area is pretty small which seems like it will certainly keep you on your toes. It also includes an interesting colour matching mechanic, which allows you to slip through enemy attacks of the same colour. Looks like a nice modern take on the classic style of shoot 'em up gameplay. It will be on Steam on July 31st. Looks like a mix of Ikaruga (polarity and narrow segments) and Blue Revolver (design and graphics), but at least by the trailer it doesn't seem so hard.